Python is one of the most popular and widely used programming languages in the AI field, due to its simple and seamless structure. Simple syntax and rich text processing tool allowed it to become a perfect solution for NLP problems. Python is best for AI projects mainly because there are plenty of useful libraries that can be used in AI. For example, Numpy for scientific computation capability, Scypy for advanced computing and Pybrain for machine learning in Python. You can learn Python for AI as there are tons of resources available online. Object-oriented programming language Java is one of the great choices for AI projects. It provides all the high-level features needed to work on AI projects. It's easy to code search algorithms, natural language processing algorithms or neural networks in Java. Java is better for scalability, which is a must-have feature for AI projects. The huge Java community is also a plus point as there will be someone to help you with your queries and problems. C++ is the fastest programming language in the world. C++ is highly recommended for machine learning and neural network building. Its ability to talk on the hardware level enables developers to calculate problems faster than anything. C++ can be used for statistical AI techniques like those found in neural networks. Algorithms can also be written extensively in the C++ for speedy execution, and AI in games is mostly coded in C++ for faster execution and response time. Lisp is the second oldest programming language in the world, and still holds a it’s position in the AI field. Its excellent prototyping capabilities and support for symbolic expressions enable Lisp is the first choice for AI projects like Macsyma, DART, and CYC. The Lisp language is mostly used in the Machine Learning field because of its usability and symbolic structure. Prolog is one of the oldest logic programming languages. It stands alongside Lisp when it comes to usefulness and usability. 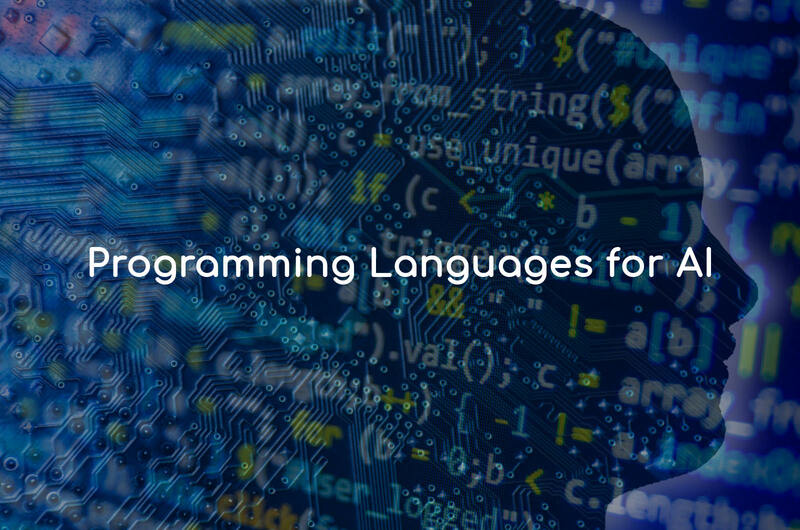 If we compare it with other languages, Prolog is one of those programming languages for some basic mechanisms, which can be extremely useful for AI programming. It can create expert systems and solving logic problems. Choosing a programming language for your AI project depends heavily on the air you like to focus. So before you pick up a programming language, ensure that it can be utilized extensively in your project. Thank you!